Once you have clicked on the 'Install UTU Swiss for Free Now!' button, Internet Explorer will ask if you want to install UTUSwiss.exe. Click on Run to continue. 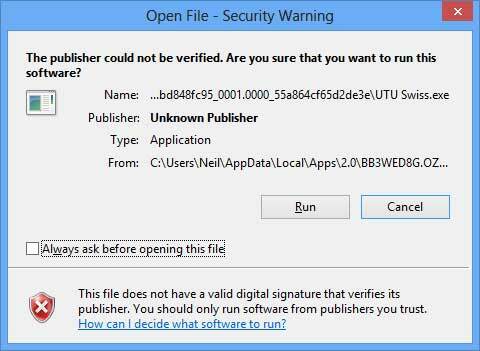 Windows 8 will now say that the publisher of UTUSwiss could not be verified. Again you can click on Run. 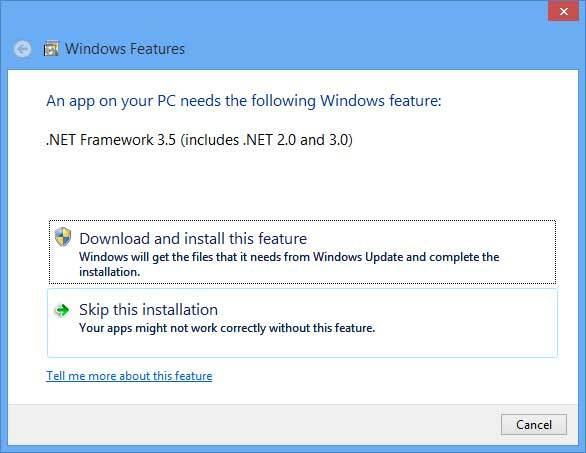 Windows 8 will then switch to desktop mode and ask to install the required standard Microsoft components. 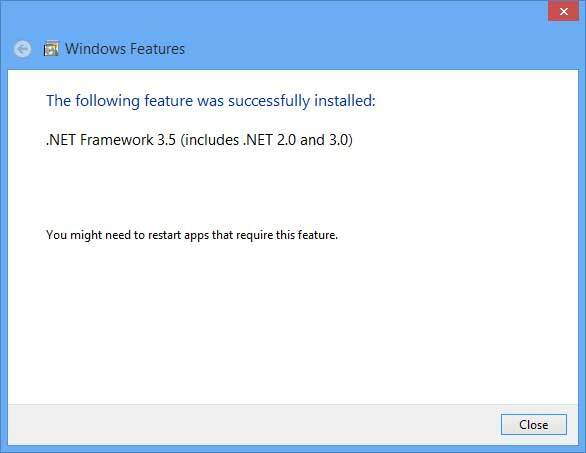 First it will start with .NET Framework 3.5 SP1. 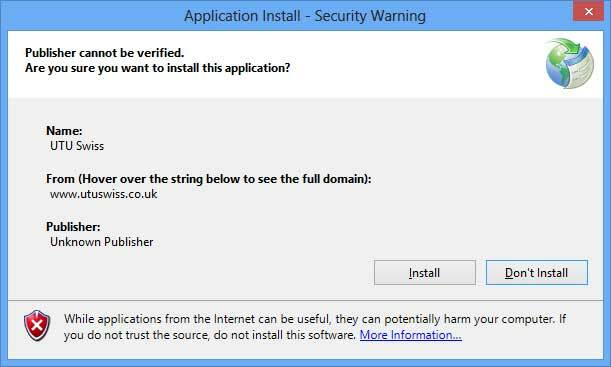 Click on Accept to download and install. 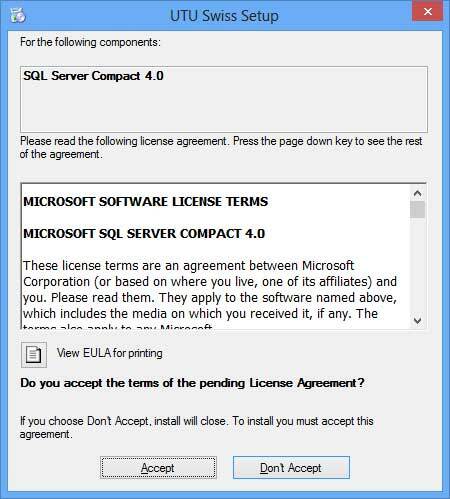 It will then ask to install SQL Server Compact 4.0. Again click on Accept to continue. It will then download and install the two components. 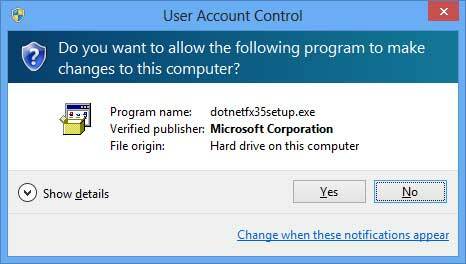 When Windows asks you if you want .NET framework, click on Yes to continue. 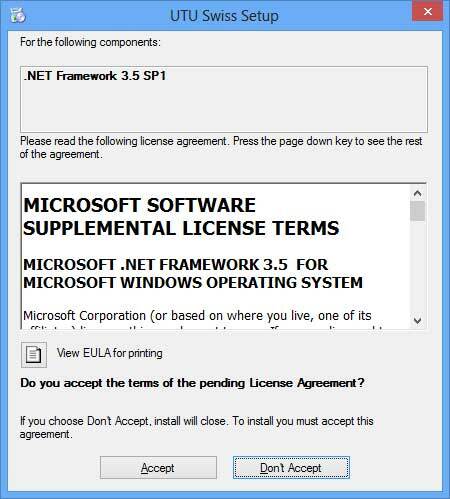 It will then ask you if you wish to download the .NET Framework. Sometimes the download option takes a while to be enabled. Wait until it is enabled then click on Download and install this feature. Windows will then download and install the component. This can be a slow process, the progress bar isn't very helpful, as it often seems to be doing nothing. Please be patient. Eventually the install will be confirmed, just click on Close. Windows 8 will then ask to install SQL Server Compact. Again click on Yes to continue. After the download has completed, the same message is displayed. Click on Yes again. It will then install SQL Server compact, which does install very quickly. Windows will then display a Security Warning for UTU Swiss. Click on Install to continue. UTU Swiss will then automatically start, it can be a bit slow first time.